These pages offer information on the biological control of flies on poultry farms and we can also provide information on request for other livestock enterprises. Please see the Introduction page for more detail. 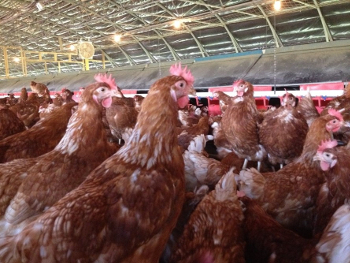 Flies are a huge problem on poultry units over the summer – but by acting early producers stand the greatest chance of successfully controlling them. Alison Colville-Hyde, Technical Services Manager, explains how. Summer is on its way, with it the inevitable seasonal pest: Flies. Always a challenge for poultry producers to control, flies can carry disease and irritate the chickens, so it's essential to act early to prevent the population getting out of hand. Chemical controls can be expensive, environmentally unfriendly and of course are prohibited on organic units. 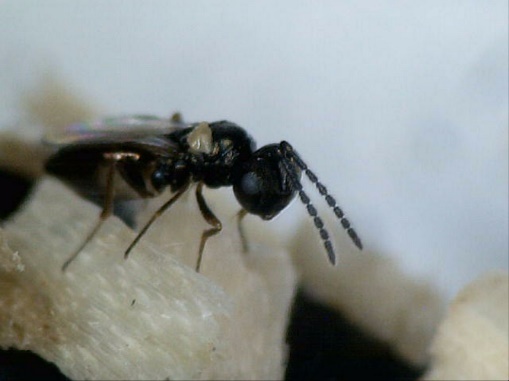 But there is another, effective option: Parasitic wasps. An increasing number of free-range poultry producers are using these little creatures to tackle flies in their poultry units. Wasps are the size of an ant or gnat and do not fly around in the environment, but stay in the manure pit where their food source and breeding ground are. They lay multiple eggs into the fly pupa (parasitise, hence the name), which prevents the adult fly from hatching. The wasps are supplied in cardboard tubes with enough to use on 3000 birds for a month. It’s easy to calculate how many you need for your flock(s), which we will do for you and quote the cost for the summer treatments. Flies proliferate in warm, moist environments with ready food sources, so the key on any farm is cleanliness. Clean up spillages, try and keep the litter in the pit dry, and store or spread manure well away from neighbouring properties and poultry sheds. However, no amount of cleaning will prevent an explosion of flies if the weather is against you, so additional action is required. On an organic system there aren’t many knock-down chemicals or larvicides you can use, so it’s all about preventing ingress of flies to the shed in the first place. 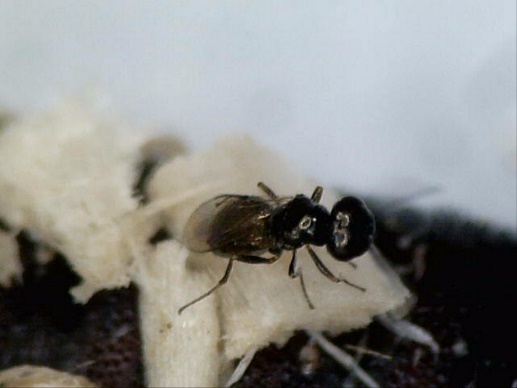 But even on non-organic farms, the use of chemicals is under intense scrutiny, and flies can develop resistance, which is becoming a worry on some farms. With parasitic wasps – which are fully approved and EU-bred - there's no threat to the environment, humans or birds; it's a cost-effective and low-impact alternative. All farmers need to do is sprinkle the wasps – which arrive unhatched within fly larvae – through the slats onto their poultry manure. You need to have three to four weeks of litter built up after pullets are placed, as the larvae need warm, moist conditions to hatch. Wasps are applied once a month. Once mature, they mate and inject their eggs into more fly pupae. They don't come up above the slats, so they don't irritate the birds, and once the temperature drops below 15°C they will gradually die off. However, it's important to get the wasp population established before flies become a real problem. 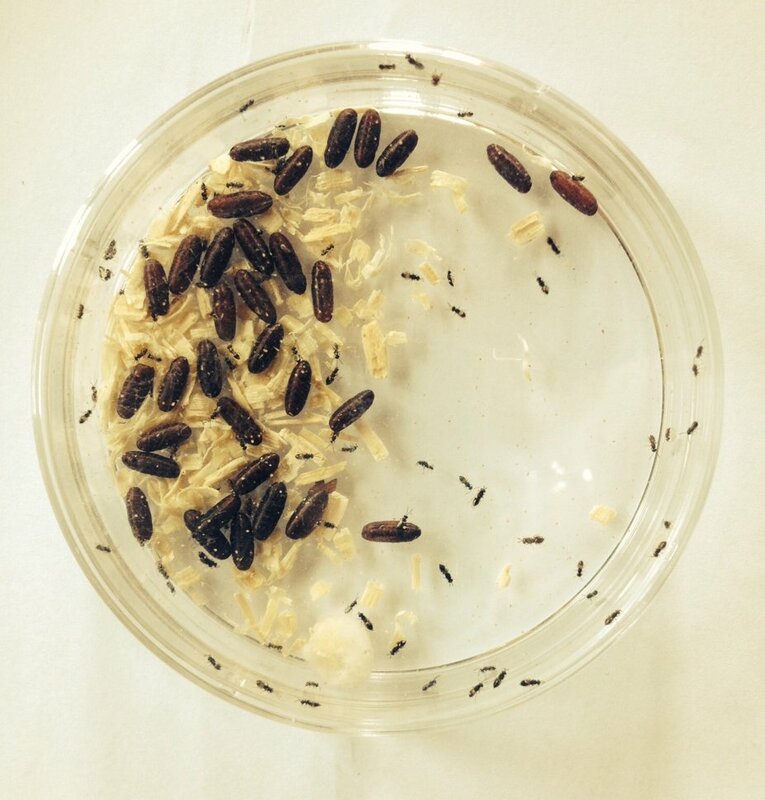 Parasitic wasps also only work against fly pupae, so you'll need to use other measures like fly paper and ultraviolet fly killers inside egg rooms, with pheromone traps outside the house to control adult flies. And remember not to use chemical controls in the pit as that will kill off your wasps too. Each site is likely to require a different approach, dependent on house structure, number of birds, age of flock and any particular fly issue. At the end of the flock farmers can spread the litter on land as normal – and on mixed farms they can even add the wasps to livestock manure to further control fly populations around the farm.